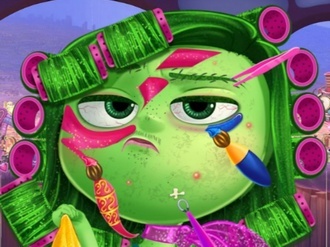 Learn some new tricks in this Disgust Madness make-up game in which you will turn someone ordinary looking into a really pretty girl. She has a green skin tone but we are sure you can work around it. Use the mouse to apply the different make-up colors and patterns.